A lovely sight about a mile or so north of Bunnahabhain, a small waterfall in a burn running down towards the Sound of Islay. Surrounded by trees and unfortunately also quite a few midges. 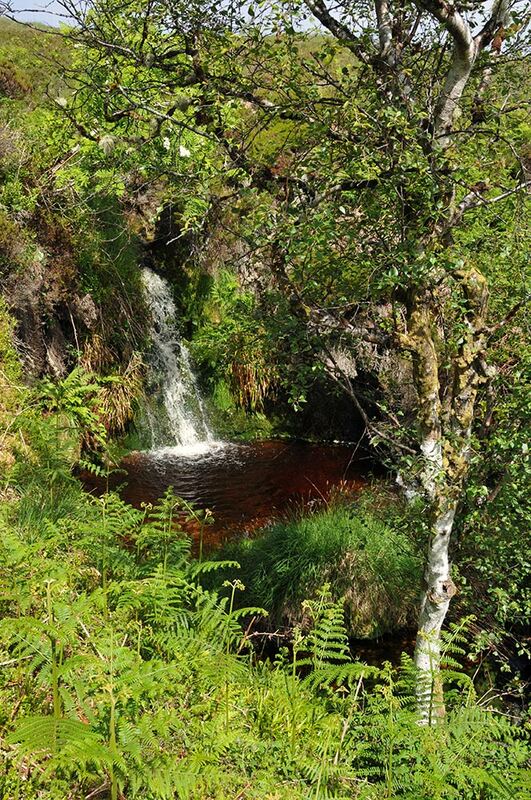 This entry was posted in Landscape, New Post, Sunny Weather and tagged Bachlaig, Islay, waterfall by Armin Grewe. Bookmark the permalink.